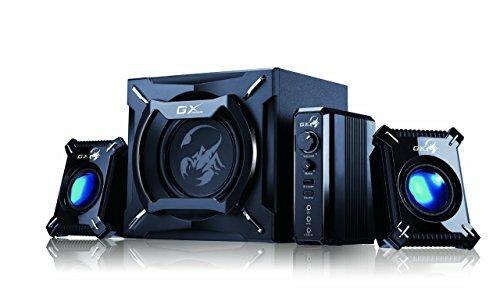 THUNDERCLAP 2.1CH GAMING SPEAKER SYSTEMA rich, deep, solid sound quality for excellent bass performance and clear and detailed mid and high range frequencies for realistic sound. PULSATING LED GOES WITH DYNAMIC BASS The backlight blue LED goes with the rhythm of powerful heart-beating bass, just like being in a real battle field. MULTIPLE INPUTS Make everything you listen to sound better with convenient RCA and 3.5 mm inputs for music, movie, and gaming devices.